Rioned has a strong international presence, providing quality products and services for customers around the world. We truly value our partners with most of whom we already work for many years. One of our newest distributors however is BN MiljØ, who is now the official agent for Rioned in Norway. We have only started our cooperation a few months ago but BN MiljØ is already an important member of our large international family of partners to help us to keep our customers’ businesses flowing. Recently Odd Nygård from BN MiljØ visited us to pick up a brand new UrbanCombi, the first one ever produced. Since 2008 BN MiljØ is well known in the Norwegian market for sewer cleaning equipment selling Müller, RSP, Rolba and Jurop products. “We sell to sewer cleaners, municipalities as well as industrial companies. We serve the Norwegian sewer cleaning market with a team of 8 dedicated people. Initially we focused mainly on the bigger trucks. 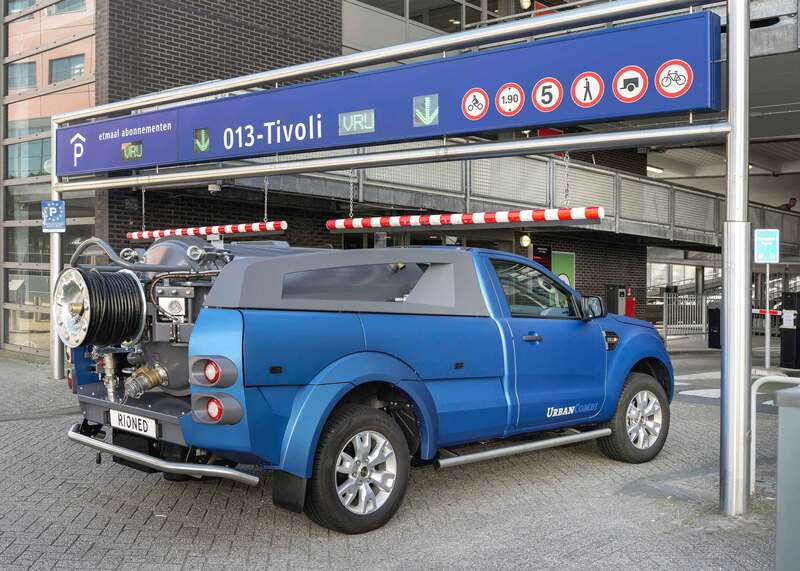 The smaller trucks and vans with jetting machines were missing in the product range and our customers have an increasing demand for it’’, Odd explains. BN MiljØ and Rioned met at the IFAT exhibition in Munich this year, and immediately there was a match. Rioned was looking for a partner in Norway and BN was looking for an opportunity to expand their product range with a complementary range of smaller sewer cleaning machines. From that moment onwards it went very quickly. BN MiljIØ came to Tilburg for training and shortly after that the first machines were sold. 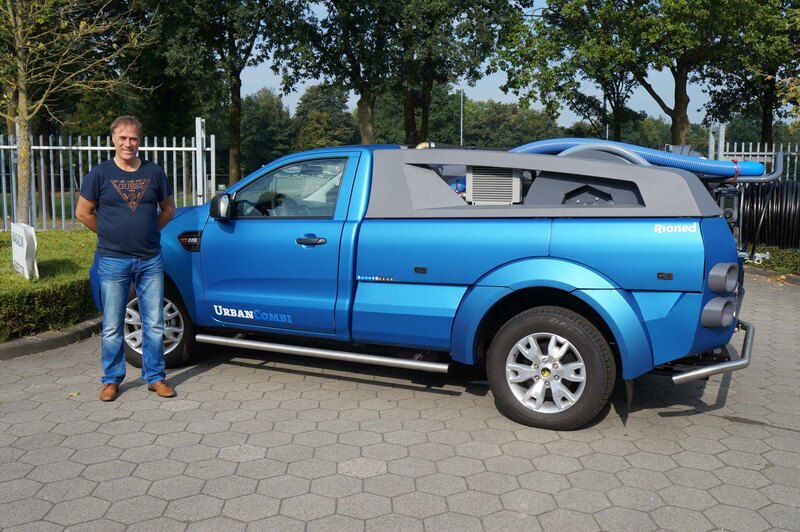 When Odd visited us at Rioned in Tilburg, the plan was to use the new UrbanCombi unit for a number of weeks as a demonstration car. At least, that was the plan but it changed overnight upon return in Norway. The first customer who had seen the combination-unit on the way back bought it and kept it there! The new Rioned UrbanCombi is developed for working in height restricted areas and narrow city streets. It is also well suited for use on difficult terrain and in rural areas. With a maximum height under 1.85 meters and four wheel drive capability, this new combination unit can be driven and used in the most difficult to reach places. Odd concludes his story with the following insight: ‘’Rioned will expand the customer base and product portfolio for BN MiljØ in Norway.’’ The initial success with the UrbanCombi is very promising and we are looking forward what the future will bring.